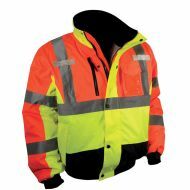 4-in-1 Quilted Reversible Class 3 Jacket with Zip-off sleeves converts to Class 2 Hi-Viz Vest. 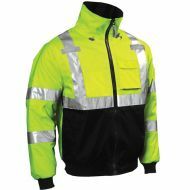 Tingley Class 3 Premium Bomber Jacket, Fleece Body Lining. 300 denier shell. Roll-a-way Hood. 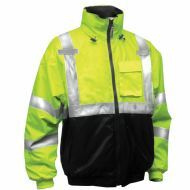 Tingley Class 3 Bomber II Jacket, Quilted Poly Liner. 210 Denier Shell. Roll-a-way Hood. 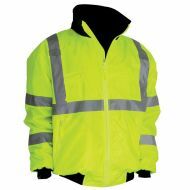 PIP Class 3 Bomber Jacket, Zip-Out Fleece Lining, Hideaway Hood. 5 pockets. All lime color. 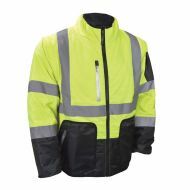 PIP Class 3 Bomber Jacket, Zip-Out Fleece Lining, Hideaway Hood. 5 pockets. Lime with Black Bottom. 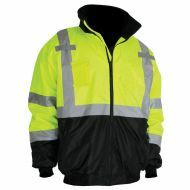 Bomber Jacket, Multi-Color 3-Weatherproof with Quilted Liner and Detachable Hood. Class 3 .